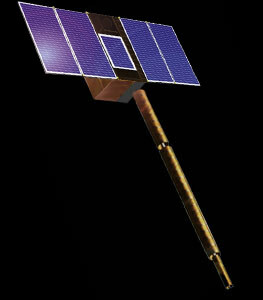 In July 2006 OHB-System AG has been awarded a contract for the construction of six satellite buses as well as the integration and launch of the six Orbcomm Quick Launch communications satellites by US satellite operator ORBCOMM Inc. The contract includes options for the construction of two additional satellite buses. ORBCOMM awarded OHB-System the contract after an international competitive bidding process. OHB-System will be performing integration and function-testing of the satellites in Bremen. They are being constructed in conjunction with the COSMOS Space Systems AG joint venture. Omsk, Russia-based partner Polyot will be supplying the satellite buses and handling the launching procedures. ORBCOMM has contracted with Orbital Sciences Corporation of Dulles, Virginia for the development and production of six communications payloads. In addition to performing the same communications tasks as ORBCOMM's existing satellites, the new satellites, like the U.S. Coast Guard concept validation satellite, will be able to receive the Automatic Identification System (AIS) signals for global maritime monitoring. The Orbcomm Quick Launch satellites have been developed on the basis of the ORBCOMM CDS 3 satellite but are even more powerful due to their greater payload capacity. Thanks to an improved redundancy concept, their life expectancy has been increased to between eight and ten years. A number of problems with these satellites have occurred. All six satellites (including ORBCOMM CDS 3) suffered from problems with their reaction wheels and one satellite displayed problems with the onboard computer and are providing limited services during in-orbit testing. Orbcomm FM40 (Q4) lost contact in February 2009 and is probably a complete loss. Orbcomm announced in May 2009, that it will file a $50 million total-loss insurance claim for all six satellites it launched in June 2008, arguing that even if only one of them has completely failed in orbit, none of the other five qualifies as a "working satellite" under the company's insurance policy. Only the Q1 and Q3 satellites are providing limited services during in-orbit testing. Q3 finally failed during the end of the fourth quarter 2010. The sixth satellite was originally to be repaired and launched later, but in 2010 Orbcomm decided to replace it with two dedicated AIS-only VesselSat satellites build by OHB's daughter LuxSpace. Orbcomm FM(42) (Q6) - cancelled Kosmos-3M with ?